Home/News/CALABRIA AND BASILICATA IN AGREEMENT WITH LU.CA. “The Millionaires “ by Claudio Santamaria the first project to be filmed in the two regions. 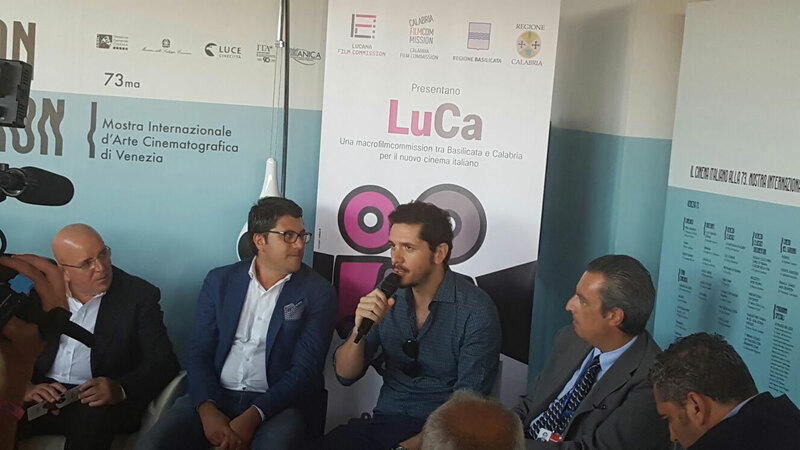 “Lu.Ca is the synthesis of an ambitious project in the name of a South that exceeds localisms for institutional cooperation and good practice” likewise the President of the Calabria Region Mario Oliverio presented the agreement between Calabria and Lucania Film Commission Film Commission. With him, the regional minister of Basilicata Francesco Pietrantuono (who replaced President Pittella (who is still recovering). 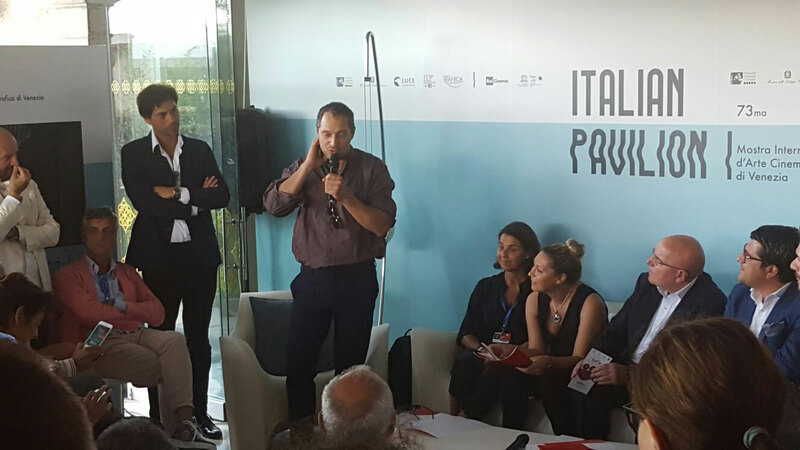 The agreement was presented today, to the industry and the press operators at the International Film Festival of Venice Hotel Excelsior, at the Italian Pavilion Space Taverna Institute Luce-Cinecittà. Spokesman : the Honourable Mario Oliverio, Governor of the region of Calabria; the Regional Councillor of Basilicata Francesco Pietrantuono; the President of the Calabria Film Commission, Pino Citrigno; the Director of the Lucania Film Commission, Paris Leporace. 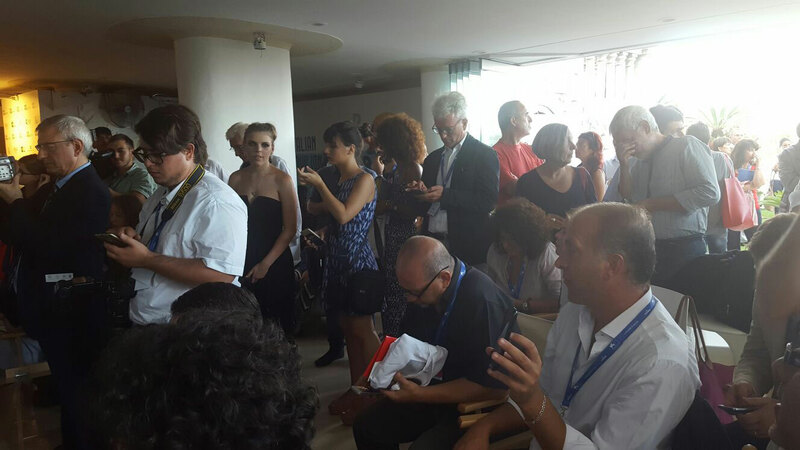 Attending the conference were Stefania Ippoliti, President of Italian Film Commission. Ippoliti opened the meeting wishing good luck to those involved emphasizing the importance of these forms of cooperation. A project which, therefore, meets the favor of the national coordination in joint with institutional and professional authorities. The meeting thus organized , illustrates in particular the new team of the Calabria Film Commission and the guidelines outlined by the newly appointed President Joseph Citrigno: ” Reliable financing, quick and immediate procedures and answers. This is the dictate of the new Calabria Film Commission. It is a great opportunity that we must seize – says Citrigno- This is evident in this important protocol signed with the Lucania Film Commission. We have to thank above all – continues Citrigno- Governor Oliverio who despite initial difficulties and a legacy at the least dramatic, has given us a sound structure able to position itself in the global market. It was not an easy job because of a legacy of large and small debt situations that have impacted the credibility of the foundation. Now, it is up to us to restore a starring role to Calabria. The potential is all there”. Immediately a listening campaign will begin, as announced by Citrigno, to improve assistance to cinema enterprises. Right after, local policies will start, with local meetings to inform and involve workers and audiovisual companies which have remained isolated from this productive sector. 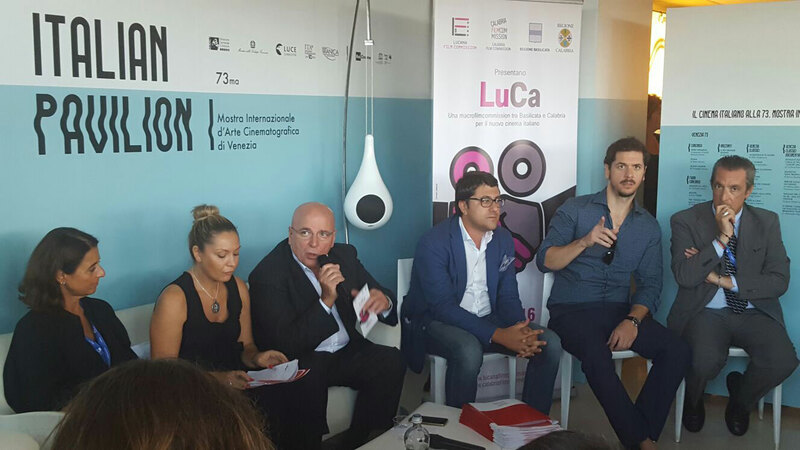 Lu.Ca., therefore, marks a new course in the Calabria Film Commission. A protocol of understanding with the neighboring Basilicata to cooperate with the virtuous Lucania Film Commission where another Calabrian operates, the Director Paris Leporace, which in virtue of the Protocol signed has taken over ad interim the Calabria Film Commission, in order to operate in synergy: “it is a project which offers full autonomy to the two Film Commissions – explains Leporace- in the sign of an inclusive policy and also open to new collaborations with other Film Commission, in favor of the Italian system. There is a great opportunity awaiting in Matera in 2019 – said the director Leporace- An Italian project growth opportunity for the whole South and not just for the Lucania “. Lu.Ca. The first operational project of Lu.Ca. , was the short film “The Millionaires” with the directorial debut of Claudio Santamaria. It was illustrated, during the press conference by the producer/director Gabriele Mainetti (award winning director for “They Called Him Jeeg Robot) and Claudio Santamaria. “I’m happy to shoot this sort of film genre- explains Santamaria- in a land that I love. I will work in the Pollino National Park, located between Calabria and Basilicata. A picturesque location, and to which I am emotionally attached “. The short film will be shot, then, along the border of Calabria and Basilicata in the Pollino Park, the largest protected area in Europe that the two partner/allied regions want to promote through the cinema and audiovisual. 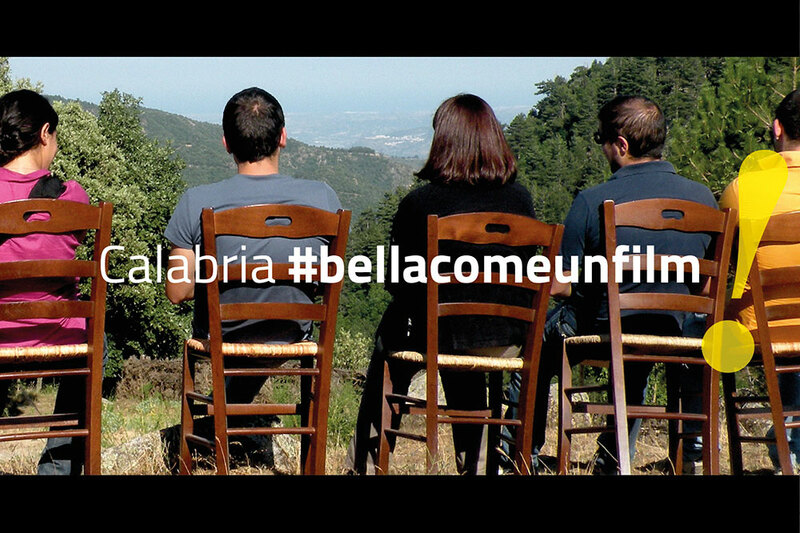 The new course of the Calabria Film Commission, therefore, will be divided into four lines of action. The first, called PROMOTION, lays down the measures undertaken by the Foundation in order to promote their activities, the regional audiovisual industry and the image of Calabria with particular reference to policies committed towards attracting the national and international film productions, towards the creative class and different segments related to cultural tourism. In this view, the project includes two actions. The second line of intervention, SUPPORT TO OPERATORS includes all direct actions in support of the regional audiovisual industry operators. It consists of two measures. The action “training”, of fundamental importance in the construction of a productive sector which is able to take into consideration the various skills required by the film industry, is not limited to the preparation of individual professional skills but broadens the range of action to all those measures necessary to obtain the fluid operating of the entire sector. 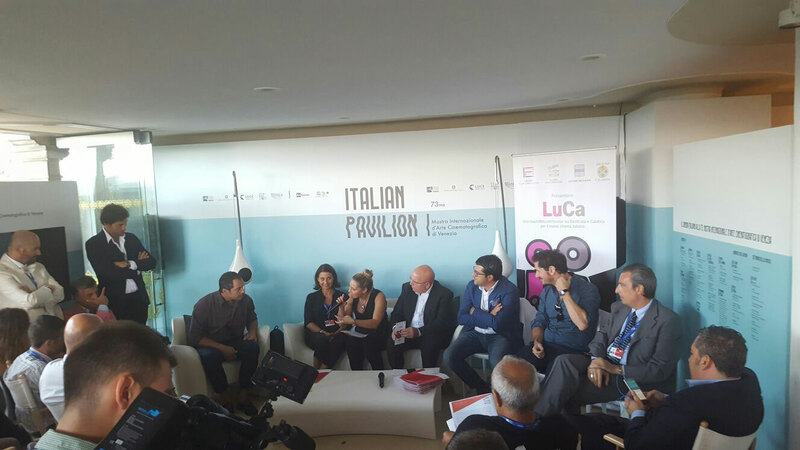 A second action, called “local policies”, dedicated to the support and the intervention of the Foundation in respect of the different segments of the regional film industry. The third line of action, INCOMING, aims at luring international and national production groups in the region. The Foundation plans to publish a public notice for each annuity, aiming at financing the production (including start-up, which will be given a special section of the notice) interested in making feature films, short films, documentaries and web series in the region; the line of action also provides for a special budget earmarked for co-financing, in synergy with the Lucania Film Commission, for productions interested in making works belonging to both regional territories, governed by specific regulations, and a budget for the facilitation of on- the- spot investigations and accomplishing visits by the production companies. Finally, the fourth FUNDRAISING intervention line, is aimed at all those operations for the implementation of activities, made possible by the raising of financial resources and additional services to the allocation of the sole shareholder, represented by Calabria Region. In this sense, the Foundation strives to win access to EU funds and to stimulate new positive processes in the new 2014/2020 POR Funds six-year season and to the measures provided by Pon Culture. Oliverio, moreover, has appointed, as President of the Honorary Committee, the Calabrian Mauro Fiore, Oscar Award for photography of “Avatar”. The Honorary President could also be appointed to represent the Calabria Film Commission at events and public initiatives and he also chairs an honorary committee which contributes to the definition of the program guidelines and the Foundation’s artistic programme. 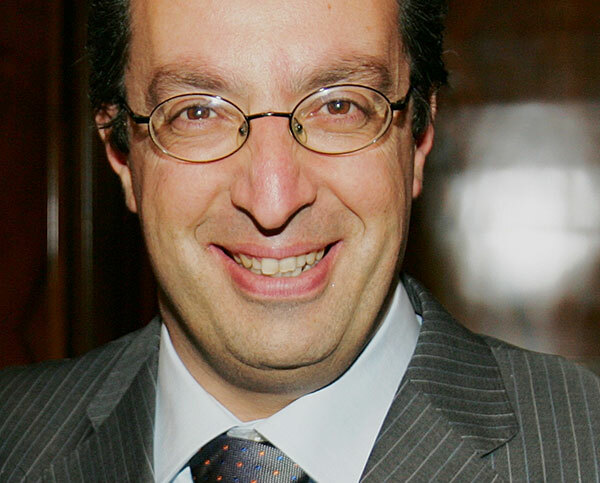 “Calabria – Governor Oliverio declares- will now finally meet the demands from the film productions. The Film Commission – continues Oliverio – remains one of the most effective tools to describe the features of a Calabria which is able to express its history, its thousands of years of culture, its healthy companies, the courageous and honest people who continue to spend their energy for the development of this land and committed to demolish the negative stereotypes associated with it. We were forced, in recent months, for the Film Commission and for many other activities, to squander our commitment to heal serious disputes and situations of inherited debt, but now we start with a new approach which will give the right cultural importance to our land. Together with President Citrigno, the Honorary President and the Director Paris Leporace Fiore, whom I thank for their availability, we will invite the intellectuals and Calabrian personalities to take part in the Honorary Committee to help us spread the values ​​and the correct vision of Calabria in the world “.